Perhaps the most hated agency in the entire United States government is the Internal Revenue Service, which was the child of the Sixteenth Amendment of the US Constitution. As of 2008, there were 101,054 people with the agency along with over 1.2 million accountants, lawyers, and preparers in the private sector. Here at FreedomWorks, we argue that high taxation is harmful for a variety of reasons. It creates waste, an inefficient bureaucracy, and encourages the government to operate on funds beyond its means. We are opposed to the use of those funds to create a welfare state or pet projects, and many other things that do not benefit our country as a whole. However, the IRS and the tax code are not only cumbersome, annoying, and undemocratic, but also downright dangerous. The source of my findings came from a show aired on Showtime (whose name can be shortened to BS), hosted by the eccentric duo of Penn and Teller, where they look at many social and political issues, and explain why they are a load of BS. Their show about taxes made an argument that the IRS is not only inefficient but also downright dangerous. The unlikely example? The famous Chicago mobster, Al Capone. As many of us know, Al Capone was a Prohibition era mobster who ran an outfit in Chicago, selling booze and running brothels, among other things. Al was a very careful man, who evaded the law for years, with no charges sticking to him court. He was ultimately brought down and sent to the infamous Alcatraz prison in 1932. However, the man who helped convict him was not a lawman but a lowly IRS accountant, who managed to make a convincing case for tax evasion charges. 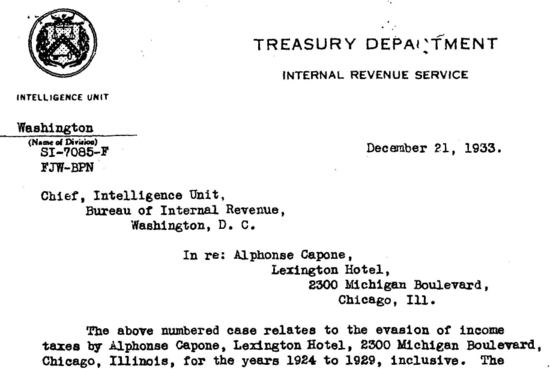 In this situation, the IRS might have done some good to the country, since Capone was a menace to society, but upon further reflection the thought of IRS being able to lock someone up is downright scary. 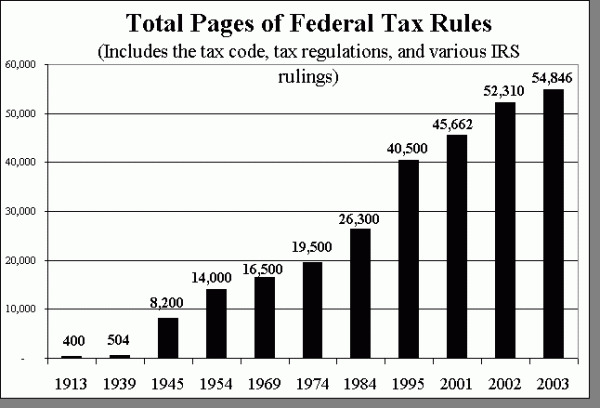 Most families in the US today rely on a tax preparer to weave through the nearly 55,000 pages of the US tax code. But can we be sure that every deduction we ever took was entirely legal? Are our tax returns flawless? The IRS could be dangerous if taxes were to be used to prosecute people. In communist countries, files were kept on “dangerous” citizens, full of details that, if revealed, could ruin them financially, socially and politically. If someone were to be inconvenient to a politician in power, could the IRS ruin him/her because of a technicality? That seems hardly American, but tax files are most likely to smear a citizen. Laws have to be clear and lucid, but for some reason, that does not apply to our tax code. Reforming our tax code, making it fair and ensuring equal protection under the law should be a priority for the 112th Congress. After the financial debauchery of the 111th Congress, a return to fiscal responsibility and common sense would be a breath of fresh air.